Work smarter, not harder with Nemco's CanPRO can opener, designed to make your life easier by cutting cans from the side, along the lid's outer seam. 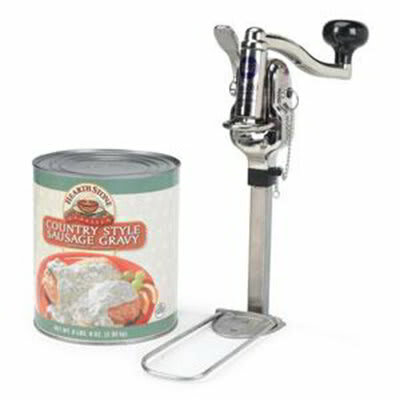 With this security model can opener, there will be no more jagged edged can lids cutting your fingers or metal shavings falling into your food. CanPRO's cutter's secure can-locking feature holds up to #10 cans. This commercial can opener is easy to clean; simply remove cutter housing assembly and put the entire unit in your dishwasher for fast cleaning. 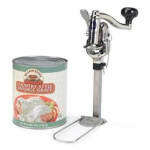 And, after this CANPRO compact can opener's precision ground stainless steel cutter has cut 5,000 lids, it is easy to replace.